ChainLink Research : Research :What is Driving RFID Adoption in Retail? 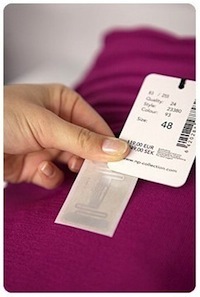 What is driving the surge of RFID adoption in retail, especially in the apparel sector? And what is next? You can help find out. In 2003, Walmart and the DoD announced their intention to have all cases and pallets tagged with RFID.1 That created a wave of hype and investment in RFID, but did not create the hoped for sustained market growth at that time. However, over the past few years we’ve witnessed a resurgence of interest and substantial growth in RFID use, especially in item-level apparel where well over a billion tags have been shipped this year. 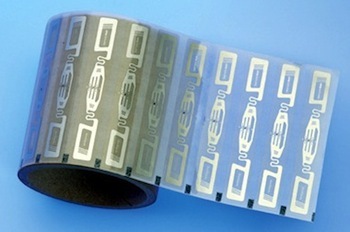 But RFID is being used in more sectors than just apparel and in some truly creative and high value ways. As outlined in “Item-level Retail RFID: The Retail Revolution and Why Now for RFID” there are many different potential uses throughout the supply chain and many potential benefits. But we wanted to find out exactly what is driving this new surge of interest? Which use cases are being implemented now and in the near future? What are retailers trying to accomplish and what kinds of changes are they actually realizing when they implement RFID? ChainLink is currently conducting research to find answers to these questions and draw a clearer picture of exactly what is happening with RFID in retail (click here to see or participate in the survey). We have some hypothesis and early indicators. For example, we know one of the primary drivers is the ability to do much more rapid, frequent, and accurate cycle counting on the store floor, resulting in reduction in phantom inventory and out-of-stocks, and hence increased sales. But we know that is not the only reason retailers are implementing RFID. Early results from our survey indicate a surprising number of people implementing RFID for loss prevention. Other uses we are exploring include promotion management, product authentication, sample tracking, warranty and returns management, uses in the D.C. (such as receipt verification, cycle counting, pack/ship verify), Home Delivery (delivery tracking, proof-of-delivery), in-aisle/mobile checkout, embedded in toys and games, ‘smart’ dressing room, and more. Please click here to see the survey and participate. The critical questions are how prevalent are these practices, what are the challenges, and what is the real value gained from these programs? And of course, for those not doing RFID now, what’s in their future? If you work for (or have worked for) a retailer, especially one who is doing or considering doing an RFID implementation, now is your chance to include your perspective and experience. We would very much appreciate your participation in this research.Participants will receive a copy of the results, help advance the state of the industry, and learn more about what others are doing with RFID in Retail—what is being done, what types of challenges are being faced in the process, what value is being realized, and what will be done next.